I LOVE this month’s message…honestly, I’ve loved all the messages this year. :)As I was reading this month’s message I was reminded how grateful I am for this gospel and for my loving Savior, Jesus Christ. “And when I think that God, his Son not sparing,Sent him to die, I scarce can take it in,That on the cross, my burden gladly bearing,And there proclaim, ‘My God, how great thou art! I know through my Savior Jesus Christ I can return Home and what ‘Joy will fill my heart’ on that day. After hearing the words of that beautiful hymn and then reading the words in this month’s message, I decided that Jesus Christ is truly our ‘LIFESAVER’. What would we do, where would we be without Him? So, for this month’s message I created a fun ‘Lifesavers’ candy wrapper along with a VT printable with the message. 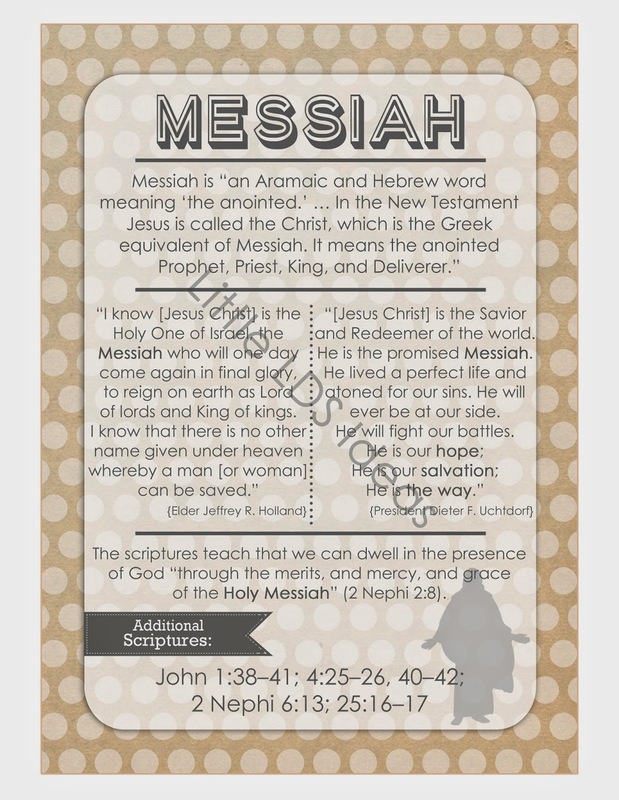 As you enjoy your ‘lifesavers’ ponder the question from this month’s message:Why is it important to understand the Savior’s role as the Messiah? What do you think?You can use the Lifesaver wrapper along with the message or just use the message by itself or vice versa. Click HERE to print out the August 2014 VT Message Printable. Click HERE to print out the Lifesaver Candy Wrapper printable. Click HERE to print out a Large version of the VT message printable.